Polifactory China | A mainland chinese company in Shanghai requires our professional services and expertise after getting some recommendations from a previous client and by visiting some of our previos projects in Shanghai. 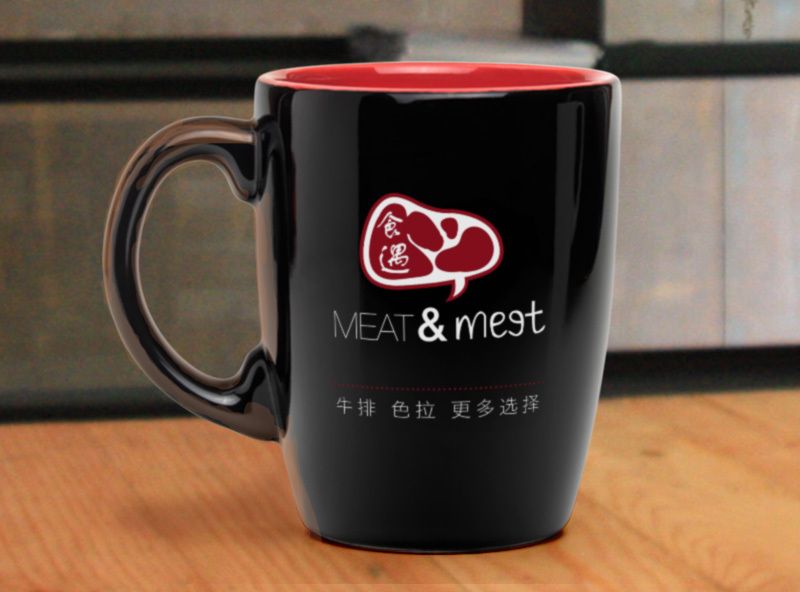 They need us to create for them a new corporate identity for a new steakhouse in West Shanghai nearby Gubei area. The work will include a logo and the complete branding concept. They also decided to give us the responsability of developing most of the applications they wanted to have at their space. The business will be a middle size steakhouse-restaurant (capacity for 60 people seated at same time) to be opened in a brand new shopping mall in Maotai Road at Changning District. The logo chosen perfectly conveys all the values that the client wanted to reflect: fresh meat quality, imported, healthy and a convenient place to meet people and enjoy. Our solution has a visual consistency and potential which allow easy memorization and understanding by the potential clients. 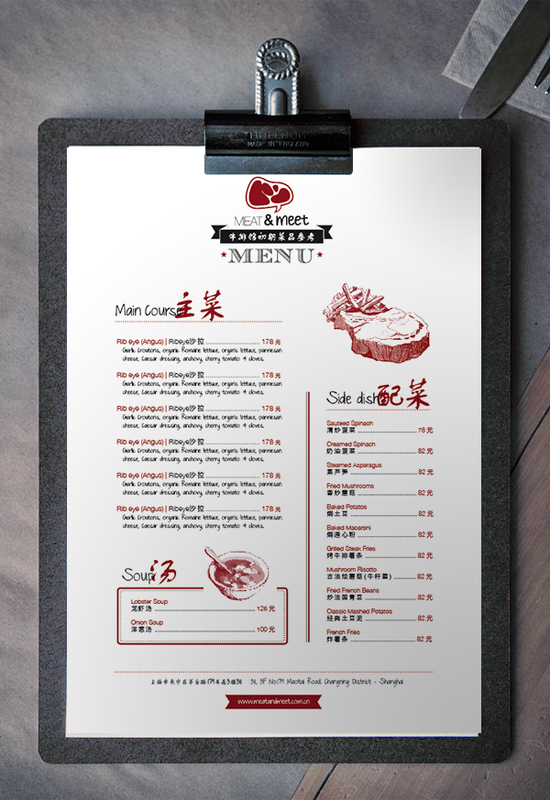 And makes Meat&Meet stand out and differentiate themselves from competitors in Shanghai, which generally do not give importance to the visual identity for steakhouses, and with their meeting concept they generate a different atmosphere over there from the first sight. -Indoor Sign lighting board design. -Indoor Sign wood board design. 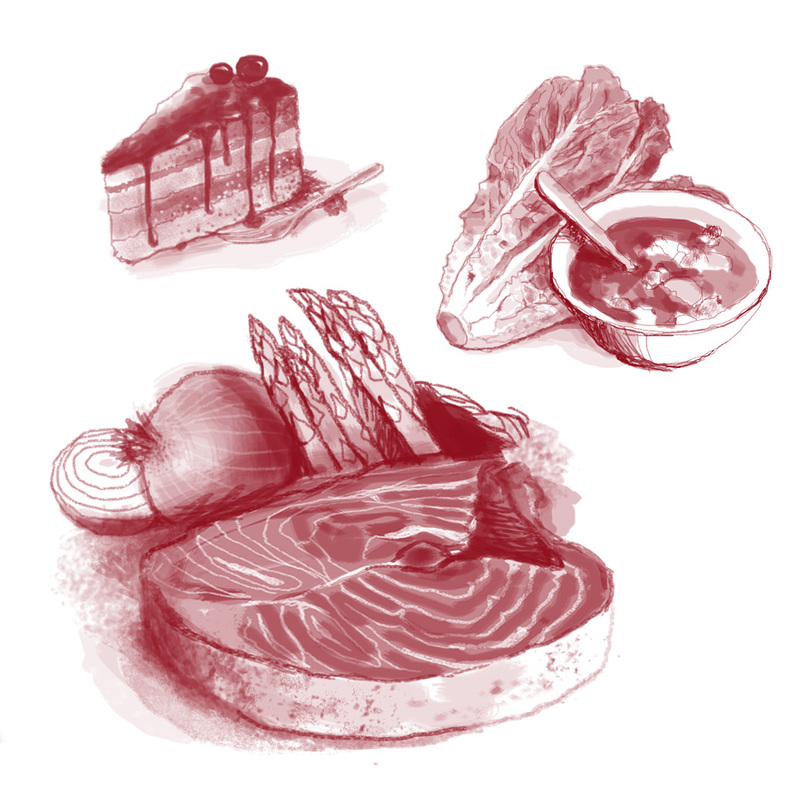 -Full Main Menu complete design including illustrations. 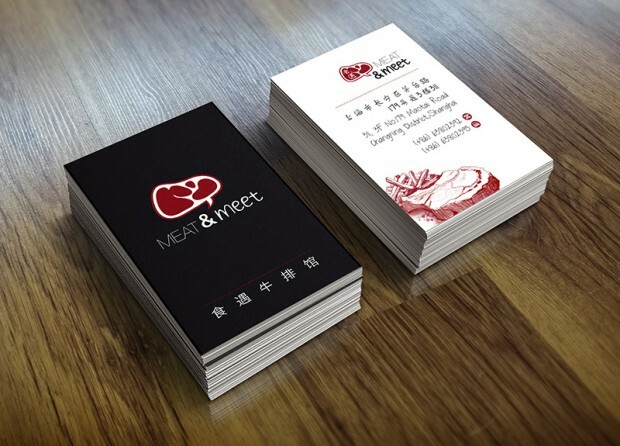 We will show here some of the most relevant images of our work for this new Shanghai Branding: Meat&Meet. We are meanwhile waiting to show more images once the space will be opened to public. It will happen final 2014.